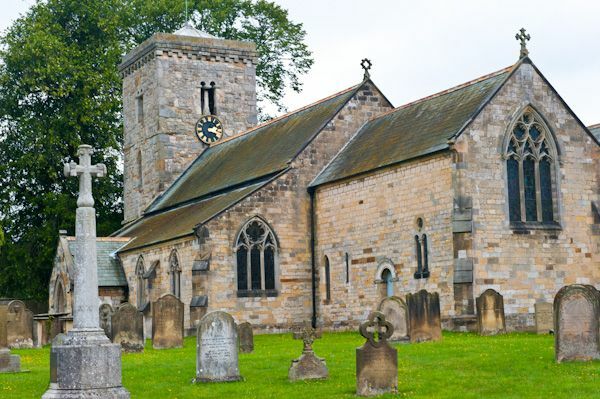 Hovingham's treasure is the delightful Saxon church of All Saints. 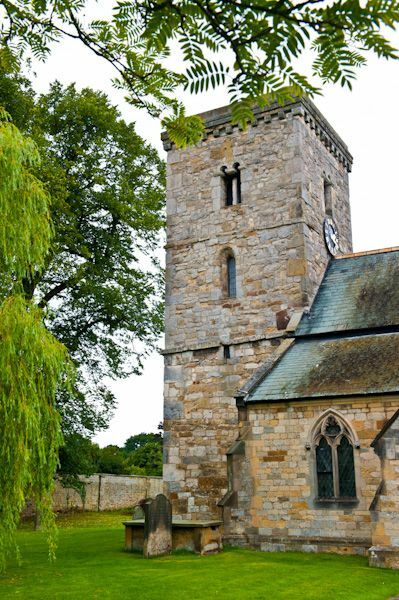 This ancient building has one of the finest Saxon towers in the north of England and retains some wonderful Saxon features. 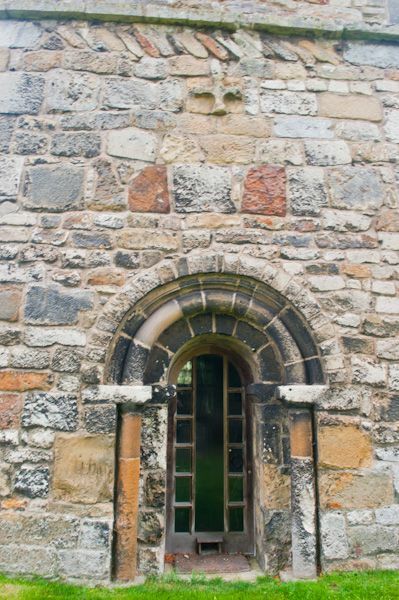 High on the south face of the tower is a wheel cross, carved in Danish or Scandinavian possibly of 10th-century date, which may have come from an earlier church on the site. 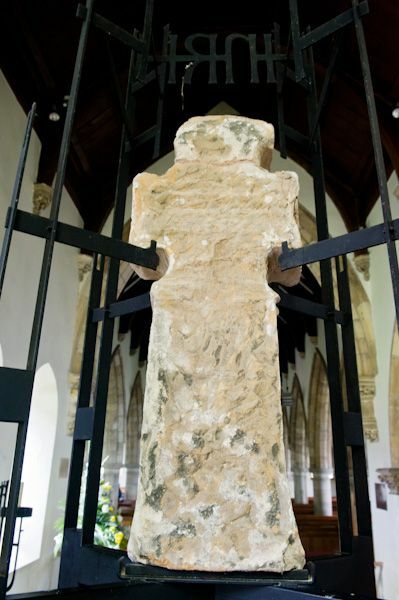 There is another cross set into the west face of the tower, this time an Anglian cross in raised relief. This cross has for arms of equal length, a design common to the 7th century. 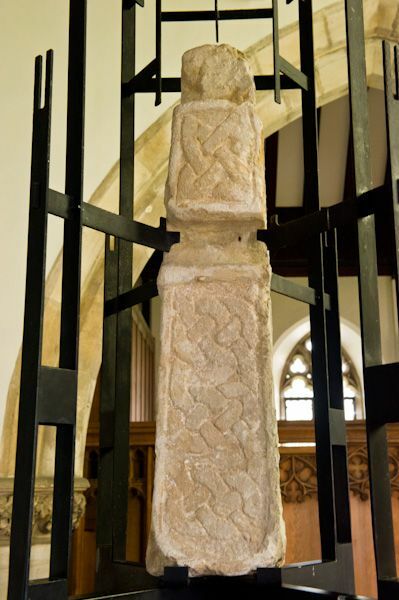 This cross is set above a Saxon doorway with a simple, rounded arch. 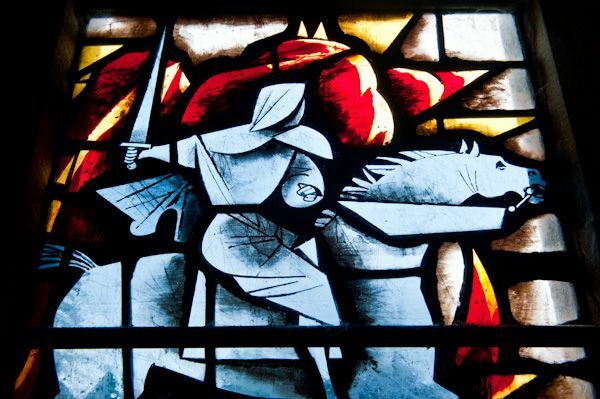 There are two further Saxon treasures within the church. 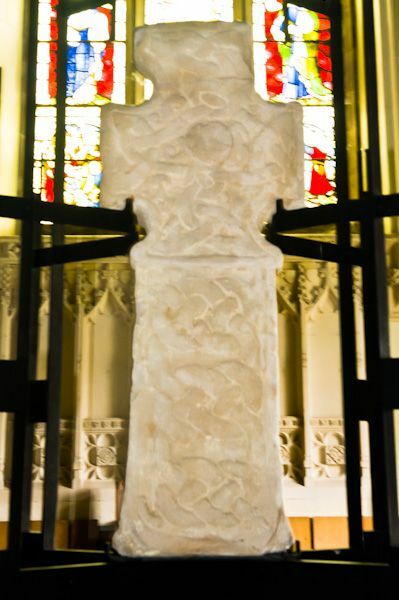 Behind the high altar, and acting as the church's altar cross, is a free-standing carved cross dating to the 10th century. This so-called Viking Cross still retains bits of coloured paint. 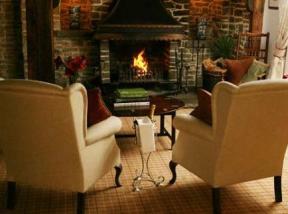 One surface is carved with knotted strapwork and two ribbon beasts. The ribbon beast design also appears on the sides of the cross, while the reverse face is so worn that it is hard to pick out any design. The final Saxon treasure is the best of all. 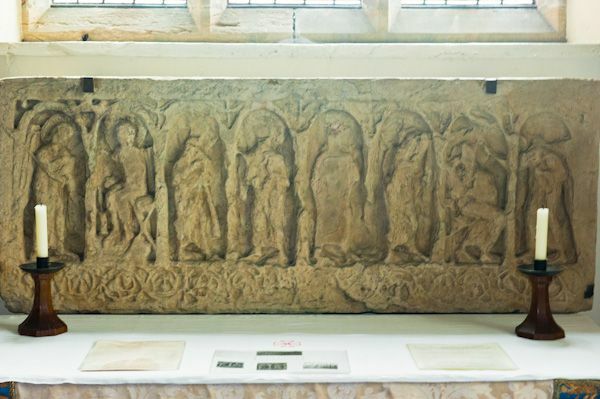 This is a sculptured stone now acting as a reredos for the altar in the Lay Chapel. 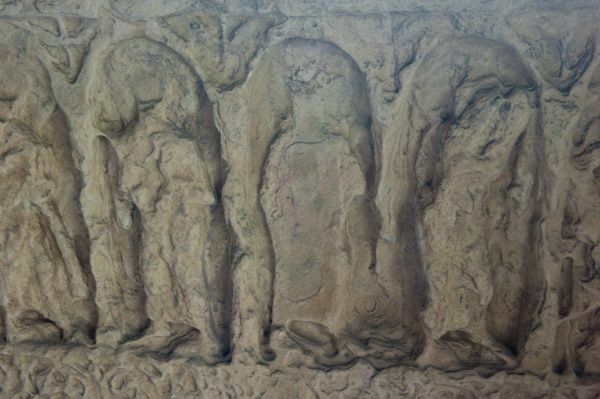 The large rectangular stone is divided into eight round-headed panels, with figures in high relief. Above the panels are figures of doves while below is a panel of horizontal vine leaves. 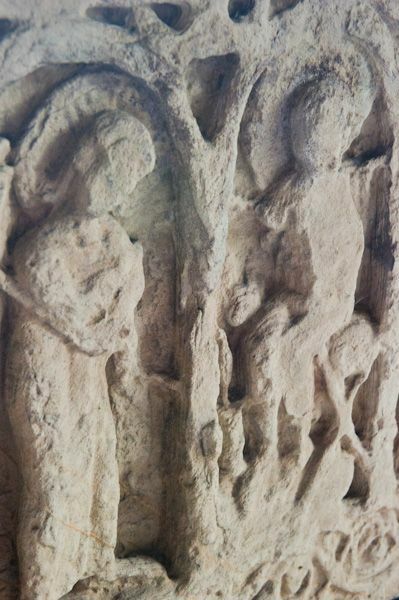 Some of the figures are worn, but the overall effect is quite lovely, and the quality of the carving is very evident after the passage of centuries. 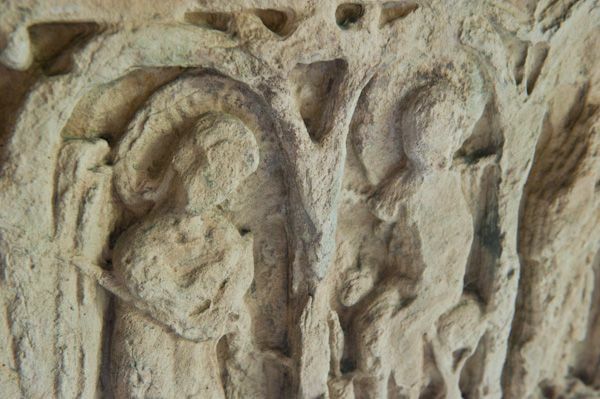 We do not know why the stone was carved or how it was used, but it probably dates to around 770 AD. 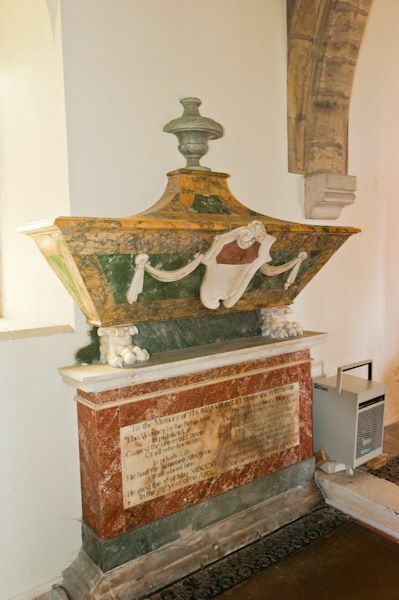 Also within All Saints are several tombs to the Worseley family of Hovingham Hall, which stands beside the church. A superb Saxon church; the reredos itself is reason enough to place Hovingham on your 'must see' list!